The companies asked including Taiwan's ASE Technology Holding, King Yuan Electronics and Taiwan Semiconductors, among others. In a bid to minimize this risk, Huawei has informed suppliers such as Taiwan's ASE Technology Holding and King Yuan Electronics, its top chip packaging and testing providers, that it wants to relocate most production to sites in mainland China, industry sources told the Nikkei Asian Review. 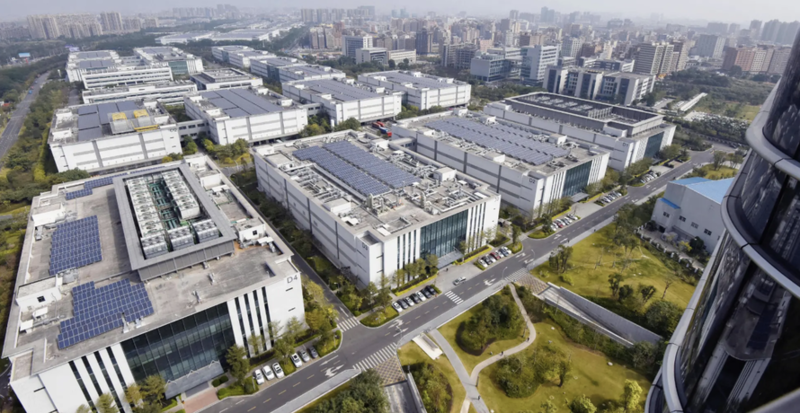 Huawei has also talked with Taiwan Semiconductor Manufacturing Co., the world's biggest contract chipmaker, about moving some chip production to a site in the Chinese city of Nanjing, sources told Nikkei. Notably, Huawei shares many of the same suppliers as Apple Inc. And the uncertainties that have been introduced by the US's campaign against the telecoms giant have made it virtually impossible for some of these companies to adequately assemble their business plans for the coming year. Many Asian suppliers hoped that Huawei would be their most valuable customer providing growth for 2019 as the smartphone market matures quickly, but those assumptions now appear riddled with uncertainties, according to supply chain sources familiar with the matter. The charges against Huawei and Chief Financial Officer Meng Wanzhou, who was arrested in Canada last month on the request of the U.S., have raised the prospect of further earnings downgrades by suppliers after a raft of reductions due to the slowdown in the global smartphone market. "We don't know how to make business plans for 2019 after Huawei's CFO Meng was arrested," an industry source told the Nikkei Asian Review. "It brought so many risks and uncertainties." A ban on selling to Huawei would be a "blow" to producers of semiconductors and other components: "But there's very little we could do to change that" they said. Some suppliers are even looking into the terms of their business interruption insurance to see if it covers "political factors." ASE Technology Holding, the world's biggest chip packaging and testing company, is looking into the terms of its business interruption insurance to see whether they include disruption owing to political factors, according to a source familiar with the matter. The chairman of iPhone assembler Pegatron, Tung Tzu-hsien, told reporters on Jan. 22: "Over the past year, the impact of international political risks on the global tech industry has been unprecedented. It is the greatest that I can recall." "We didn't have to care so much when we produced notebook computers, smartphones or integrated circuits in the past. But now we have to be extremely careful to comply with local laws in each country to avoid stepping on mines," Tung said on the sidelines of a tech forum. Shih Po-jun, an analyst at Taipei-based think tank Market Intelligence & Consulting Institute, said the disruption will only continue. "The U.S. crackdown on Chinese tech - of which Huawei is the most important representative - will not stop here and is likely to have a snowball effect on other Asian suppliers and on the customer end as well," Shih said. "For those who rely heavily on Huawei or China for their business, they are subject to higher political risks now." Despite the Trump administration's insistence that the indictment won't affect trade talks with China, every analyst quoted by Nikkei said they don't see how that's possible. "Any relief for the Chinese national champion will likely come at a steep price, and the issue seems set to take a central role in the ongoing U.S.-China trade talks," Gavekal Research tech analyst Dan Wang said in a daily note following the U.S. indictment. Not only has the US threatened to ban sales of Huawei products and equipment, but a US-backed campaign to convince allies and foreign telecoms firms to push Huawei out of their markets has born fruit in recent months. China's largest private company, generating revenue of $100 billion in 2018. It is also China's top employer, with 180,000 workers globally, and insiders say the company is worried about losing its dominance in Europe, where it has received dozens of contracts to build 5G networks. Earlier on Tuesday, it was reported that Huawei would be arraigned on some of the charges in a Seattle court on Feb. 28, just days before the deadline for US-China trade talks. We imagine suppliers, who are already reeling from Apple's latest iPhone sales flop, will be watching the proceedings very closely.